Heating of the industrial premises is a very important issue that requires a responsible approach, because it depends on the decision how suitable and economical the heating will be. In this article we will find out which one from the currently existing types of heating is the most secure, cost-effective and easy to use. 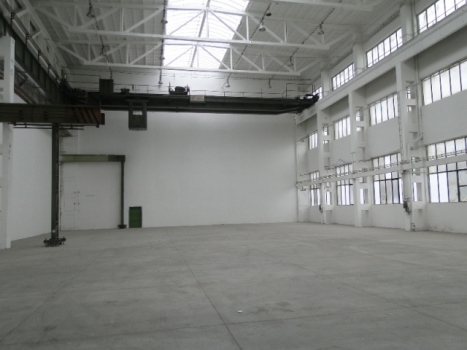 First you need to determine that usually under the industrial premises people mean the storages, supermarkets, shopping centers, sports complexes, shops and other buildings which are not made for the permanent living of people. A particular feature of such premises is that their heating area is usually a few times bigger than the area of the premises made for living. 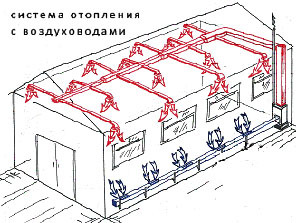 Thus, it is necessary to talk about the need to install such a heating method of industrial premises, which will be able to work without a significant increase in resources and the expenses on its maintenance. Traditionally, the first method is the convective heating. Depending on that which element will serve as a heating device, it can be also called the "radiator" heating. Today we can also use the registers with smooth or ribbed pipes. Convective method has the widest choice of ways to install it and of the materials. However, there are certain disadvantages, which have a significant impact on the work of such systems. The main problems arise due to large thermal inertia, especially during the transfer of the heating system to the standby mode, and the irrational use of a heated territory. 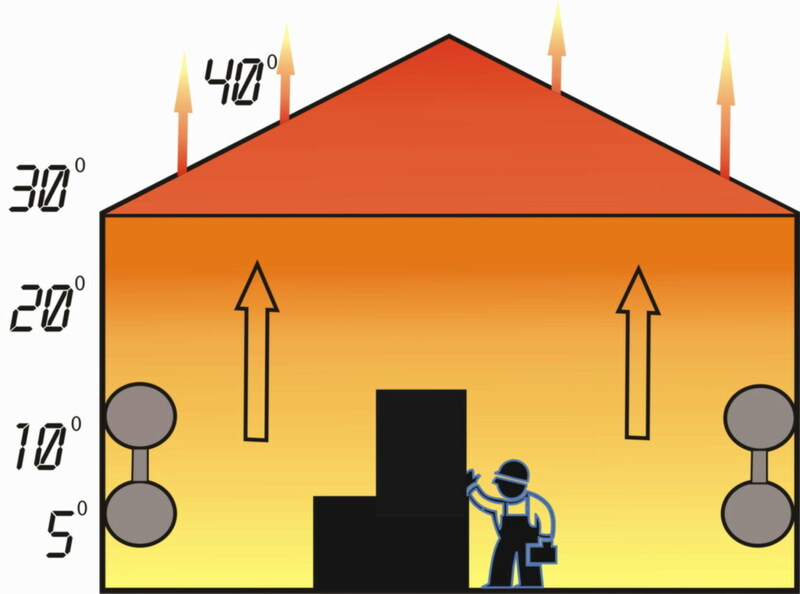 Air heating is the second heating method. Its kind depends on the purposes of usage of the premise. There are variants of the installation of the heating system in the co-current flow, with partial recirculation or total recirculation. The service equipment of the air heating systems differs a little in the devices and used working environment (gas, water, fuel oil), which expands the choices available. It should be noted that due to the expenses convective heating and air heating belong to the same group. Also, there are certain disadvantages, which include a reduction in the ability to control the movement of air masses in the industrial area and distributing of the temperature. 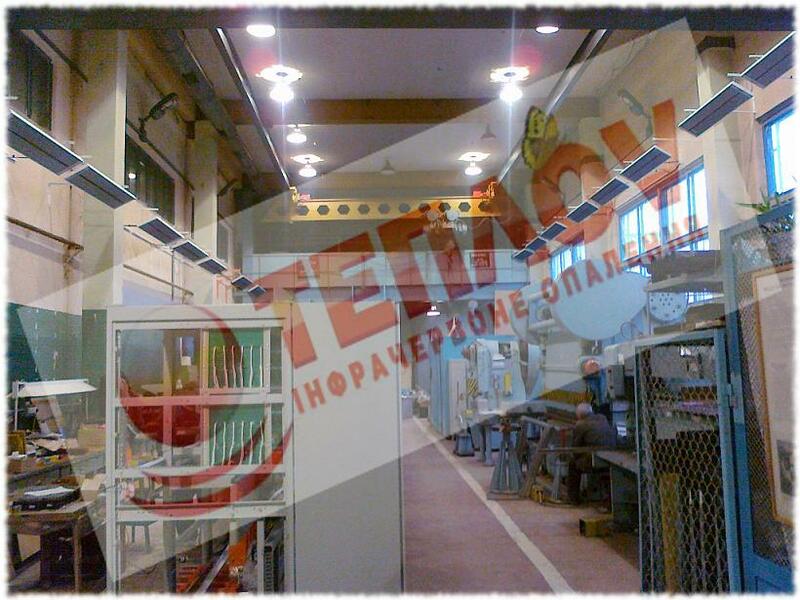 Nowadays infrared ( radiant) heating is one of the most progressive and effective methods of heating of the large industrial premises. 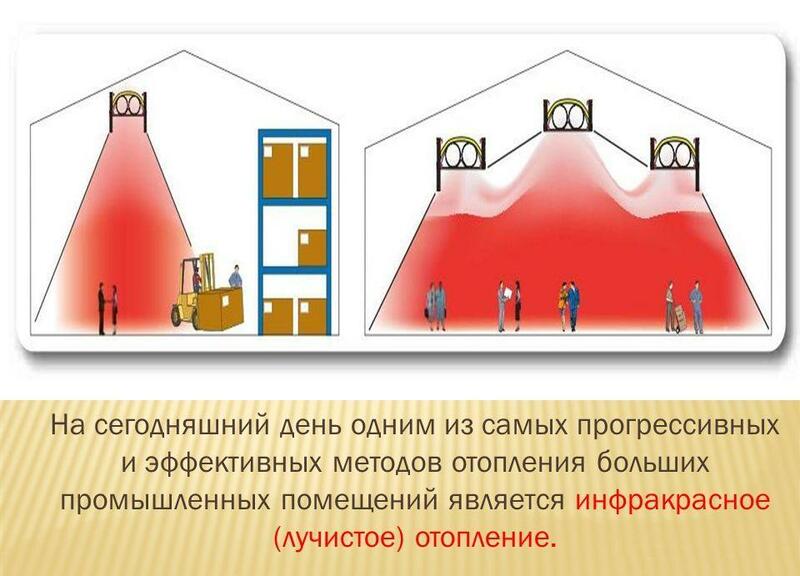 The third and, as the practice shows, the best option is to use infrared or "radiant" heating for industrial premises. There are several ways of heating the radiator itself, due to which infrared heaters are divided into gas, electric, and, very rarely, water heaters. The first type is quite common, but may be not appropriate because the combustion products may get into the industrial environment. Thus, the most optimal, especially for industrial zones, are the electric infrared heaters, which are not familiar with the problem of gas, and they, in turn, have a number of significant advantages over convection and air systems. Electric infrared heaters have excellent indexes during the transition in a comfortable temperature, and also, owing to the heating of solid surfaces instead of air, you can create an additional source of heat - the floor. Thus, industrial heating with the electric infrared heaters gives the opportunity to reduce the energy resources, which means cost-effectiveness, safety and total utility of this method.